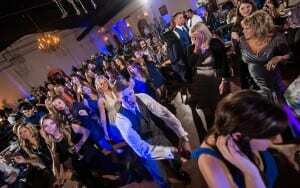 DJ Dave Productions offers more than wedding DJ service and entertainment. We are a full service Houston Party DJ Entertainment & Lighting Services company providing Disc Jockey entertainment for the Houston area. Our Houston DJ service has performed at numerous events throughout Houston and surrounding cities. If you are planning a Wedding Reception, Anniversary Party, Birthday Parties, Holiday Party, Corporate Event, Prom, School Dance, Reunion, Sweet 16 Party, or any other type of function be sure, and browse this web site for all the information you will need to book your DJ (Disc Jockey) entertainment. The music entertainment is the heartbeat of your important affair. At DJ Dave Productions, we are fully committed to providing you with the DJ entertainment package that will meet and exceed your entertainment expectations. Our mission at DJ Dave Productions is to provide the highest quality, most reliable and exceptional DJ Service to the quality conscious client who demands only the very best. Our Houston DJ business has been built on referrals. Your total satisfaction is our number one goal… Always. Today, value is more important than ever. We’re determined to give you the most complete disc jockey entertainment package with no hidden costs. We invite you to compare DJ Dave Productions prices, quality, and commitment with other Houston DJ, Houston Wedding DJ, or Houston Party DJ companies in the Houston area. We will do on site consultation and help make your event a success. From backyard parties to corporate events, We Can Do It All. If you have event entertainment needs, DJ Dave Productions’ has the solution for your Houston Party DJ! We will play all your requests, emcee your event, or if you prefer, we can keep the announcing to a minimum and maintain the flow of your event. The music will be your choice, you will decide what music you would like to hear, we have a very extensive collection of music to choose from, including all of the newest songs from all genres. DJ Dave Productions will cater to your every need. We will meet with you weeks in advance and go over every detail of your party. 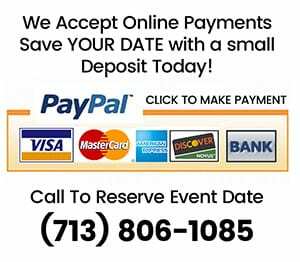 Your event day will be everything you ever dreamed of with DJ Dave Productions, the #1 Houston Party DJ. DJ Dave Productions features interactive guest requests and song search. Our automated Music Library has the unique ability to allowing you to pre-plan and select all of the songs for your event online. Our automated Music Library will also allow your guests to choose song requests online! You will be given a unique user name to send to your guests (Recommend one song each guest for your reception). Very Hot Item!! Our interactive features allow you full access to use our Event Planning Forms, Timeline Forms, Music Planner to select and build your “Must Play List”, “Try To Play List” and then the most important list; you’re “Do Not Play List”. DJ Dave Productions is looking forward to being your Houston Party DJ.